San Francisco, California – August 29, 2016. Key Housing, a top-rated San Francisco corporate housing service for the city and surrounding Bay Area, is proud to announce the release of updated listings for the San Francisco central city region just in time for the busy ‘Back to School’ and ‘Back to Work’ season that hits every year in the end of August, and beginning of September. The apartments at Venue encapsulate everything that make San Francisco city living so attractive: proximity to corporate workplaces, arts and sports venues, fine dining, and the incomparable San Francisco Bay. There, one can “drill down” to specific regions, and further sharpen the search. Many listings and information assets have been updated for August, and September. However, while online browsing is an important first step, interested parties should reach out, immediately, to work with a Key Housing consultant. Many listings literally vanish in just a day. 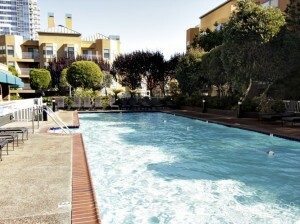 San Francisco corporate housing short term market remains tough, but not impossible, if you know where to look. Availabilities for corporate renters cannot be guaranteed; however, Key Housing has many other available opportunities in the hot San Francisco and Bay Area rental market. Interested parties are recommended to either use the website, or contact Key Housing directly for personal assistance with their San Francisco furnished rental needs. The paradox of of San Francisco is that it is an expensive and more than a little inconvenient place to live, precisely because everyone wants to live there! Densely populated though the city may be, it is an easy sell for potential renters. Many will jump at any available San Francisco corporate housing, yet the best strategy is to leverage an expert housing service and be ready to ‘pounce’ when an availability emerges. Based in Folsom, California, Key Housing Connections Inc. specializes in corporate housing and corporate rentals in large cities like San Francisco, Los Angeles or San Jose as well as smaller cities like Fresno, San Diego and Sacramento. Whether the need if for a serviced apartment or a short term rental, corporate housing or short term apartments, just browse our listings to find the rental that fits one’s short term corporate housing needs. We are competitive with extended stay hotels in cities such as Cupertino, Santa Clara or even Long Beach, and many nurses, interns and people seeking pet friendly corporate rentals or corporate relocation services depend on us for their furnished apartment or other temporary housing needs. Whether after Los Angeles corporate housing, short term rentals in San Francisco, or a serviced apartment in San Diego – we can aid the search for the right apartment in the Golden State. After all, we’re among the top-rated short-term apartment listing service in places like Redwood City, Santa Monica, Newport Beach and just about every city in California. Whether it’s serviced apartments or a furnished rental, just search, click or call today! This entry was posted in Press Releases and tagged Corporate Housing, San Francisco, San Francisco Corporate Housing on August 31, 2016 by Lee McDonald.